Crossbridge is halfway through a two-year discipleship journey called “Unfinished”. It is the biggest step of faith we have taken as a church to date. This message series will not just show you where we have been, but where we want to go. We will all ask the question "what it does it look for Christ to be F1RST and above all things in every area of my life?" This series is about letting Jesus work within us to accomplish things by Him, for Him and through Him. Come spend and evening at Connexus if you are a parent of a student or if you have a student who may be interested in our 7th-12th grade ministry at Crossbridge. E-Mail Students@crossbridge.cc for more information. We are going to celebrate Baptism next month! There’s a difference between being baptized into a religion and being baptized into Christ. If you’ve never experienced meaningful baptism before, we would love to share in that moment with you! 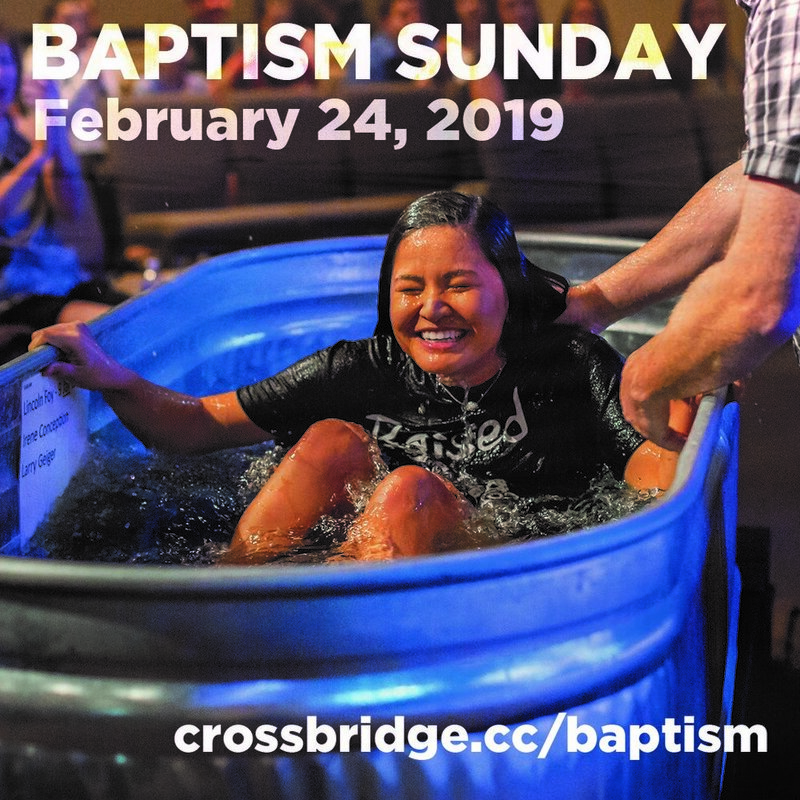 If you’re interested in getting baptized or learning more about baptism at Crossbridge, click HERE. God is on the move at Crossbridge. Make plans to be here for our Commitment Sunday, as all of us take a step in our Unfinished journey in declaring Jesus is first in our generosity. There is nothing small about this moment, and we can’t wait to share it together.